October 9, 2018– Following the successful introduction of Christian Louboutin Beauté’s nail polish range into the hotel’s spa last year, Mandarin Oriental, Tokyo is delighted to extend the partnership with the launch of special stay and day packages. Superbly located in the centre of historic Nihonbashi, the hotel is recognized as the ultimate Tokyo address. “We are very pleased to be the only hotel in Japan to collaborate with Christian Louboutin Beauté on this range of special packages”, said Paul Jones, General Manager of Mandarin Oriental, Tokyo. “As well as being an esteemed designer, Christian Louboutin is also one of the Group’s international celebrity ‘Fans’, featured in the company’s award-winning advertising campaign,” he added. Depending on guests’ preferences, the stay and day packages include options for Christian Louboutin branded manicures, pedicures, beauty products, and other treats. Included in both offers, as a special indulgence for guests, is the newRouge Louboutin cocktail served at Mandarin Bar. 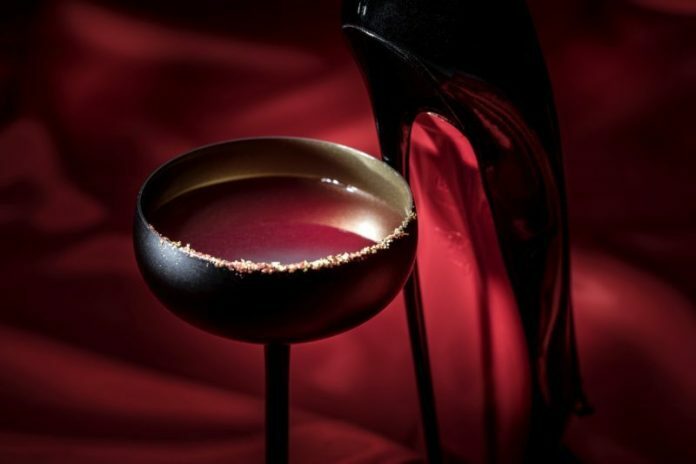 The deep red Rouge Louboutin cocktail represents the signature colour of Christian Louboutin’s nail polish and is made with beauty-enhancing Rosehip infused inLychee Liqueur, Casis, apple vinegar, grapefruit, and rosemary. In homage to the colour and elegance of the beauty brand’s distinctive nail polish bottle, the drink is served in a black cocktail glass with strawberry and gold powder. The Christian Louboutin Stay package is subject to availability, based on single occupancy and available from 1 October 2018 to 31 March 2019. The price excludes 15% service charge, 8% consumption tax and accommodation tax of YEN 200 per person. The Rouge Louboutin World day package is also available from 1 October 2018 to 31 March 2019 and the price excludes 15% service charge and 8% consumption tax. For further information and reservations, please log on to mandarinoriental.com/tokyo. Mandarin Oriental, Tokyo’s visionary design and award-winning service have been recognized as the epitome of sophisticated luxury in the city. Superbly located in the prestigious financial district within the historical and cultural centre of Tokyo, the first Mandarin Oriental Hotel Group property in Japan embodies the best contemporary and time-honored architectural splendor. The hotel features 179 luxuriously appointed guest rooms and suites, ten restaurants and bars and an award-winning spa situated within the soaring, Cesar Pelli-designed Nihonbashi Mitsui Tower. The site offers spectacular views of the city skyline while providing access to a stately banquet and conference facilities within the adjacent Mitsui Main Building, a Japanese cultural-heritage property.